In a gallery full of amazing photos, Ms. Kaylee’s just shines, doesn’t it? A self-described “girly girl,” Kaylee has a quiet and thoughtful presence when you spend time with her. 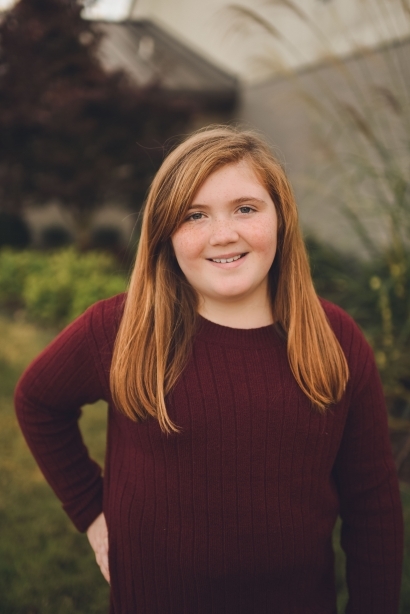 When we asked her what she wanted people to know about her for this bio, she asked us to make sure that you knew she loves to read and she’s a huge fan of soccer, Netflix, and animals – especially cats. In fact, one of her most special memories is from the day she got her very own cat as a pet. Besides cats, her other favorite things are cell phones and watermelon! (Y’all, this might be our favorite bio ever!) If Kaylee was picking her perfect forever home, she said she’d want a big bedroom in a home with a single, active mom where she is the only child in the home. We know that describes a lot of you amazing moms out there, so please don’t hesitate to ask us about how to learn more about our friend Kaylee.